GORDON Hartwell, the record-breaking winner of the Embassy Veteran’s National Angling Championship, knew exactly what the trophy looked like…his regular fishing partner, John Barfoot, had won the title last year! Gordon, a 67-year-old retired miner from South Normanton, Derbys, scored a runaway win with 25.920 kg after a sell-out 340 anglers – a record for the event – signed up for the annual match which this year was held at the Hallcroft Fisheries complex in East Retford, Notts. Pegged in a corner of Croft Pool, Gordon fished the margin to land 30 carp and set a new Championship record – beating the previous best of 11.420 kg by Ivan Montague from the <?xml:namespace prefix = st1 ns = "urn:schemas-microsoft-com:office:smarttags" />Kennet & Avon Canal in 1998. Gordon collected a bumper £1,590 from pools money and a £10 each way bet – smashing his personal best pay day of just £80! Sadly, this will be the last time that Embassy is able to support the Veterans’ National following the Government’s decision to end most tobacco sponsorship on July 30, 2003.As many anglers struggled in the blazing sunshine and often flat calm conditions, Gordon just kept catching carp up to 1 kg steadily throughout the day as he fished sweetcorn on a size 16 hook to 3 lb line at 8½ metres. And Gordon didn’t have to feed much to keep the fish interested as he used just a tin of sweetcorn and a pint of pellets. “Last year, I was absolutely thrilled when John (Barfoot) collected the title on the River Nene. We worked at the same colliery, we have known each other for 35 years and we always go fishing together,” said a stunned but delighted Gordon as he sipped a celebration pint. Gordon, fishing his fifth Veterans’ National, and John had been six times to practise but Gordon said: “I had never fished Croft Pool before.” Gordon is certainly a keen angler as he belongs to FIVE clubs – Mansfield Piscatorials, Derbyshire AF, Matlock AC, Ripley AC and Belper AC! John Barfoot, who won just £200 the previous year because this was the first time an angling bookie had been on site at a Veterans’ National, said: “It’s great for Gordon. He’s a smashing chap and it’s just incredible that we have now both won this title – what a great double.” John, 65, and also a former miner, comes from Mansfield Woodhouse, Notts. Second place went to Maurice Thacker, a 74-year-old retired British Gas service engineer from Branston, near Lincoln, who totalled 14.720 kg from Moat Pool. 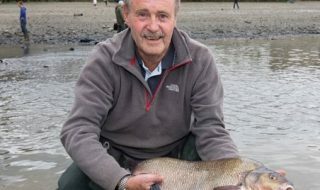 Maurice, who shot to fame with a series of super bream and roach catches during the River Witham’s glory days, didn’t have his first bite for 3½ hours but then landed five carp including a superb specimen of 6 kg. Feeding pellet and fishing sweetcorn on a size 14 hook to 8 lb line and a size 16 elastic at 12 metres, Maurice, newly sponsored by Lincoln‘s Whisby Angling Supplies, also lost two big carp that could have pushed him much closer to the eventual winner. One of them was a real cracker as it just snapped his 8 lb line. 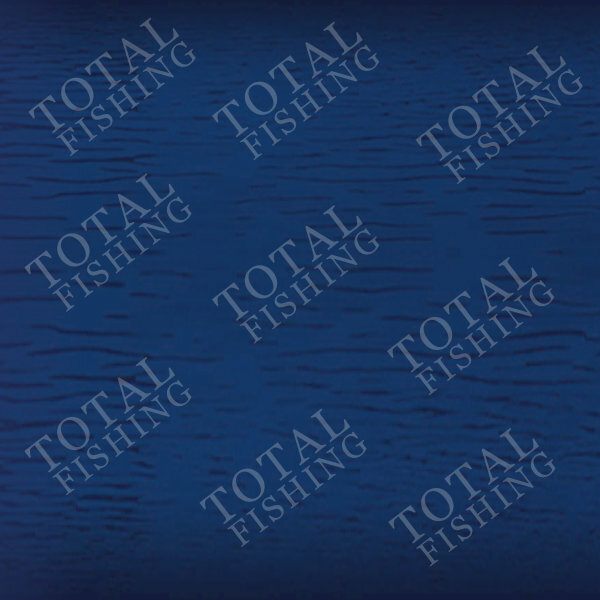 “I caught the fish up in the water at 2 ft and I really did have to wait a long while for that first bite,” said a relieved Maurice, “I must thank Daiwa Goldthorpe’s Lee Murray who showed me the right tactics to use. He came with me to practise one day and even popped over on the day of the match to see how I was getting on. Peter Child, 67, and a retired self-employed plasterer from York, is moving closer to the title as he followed up his fifth place on the River Nene last year by claiming the bronze medal with a weight of 14.280 kg from Reed Pool. He won £420. Fishing pellet on a size 14 hook at 11 metres, Peter had never seen the water before but he landed one roach and five good carp, including excellent specimens of 6.200 kg and 4 kg, the latter fish being landed on the final whistle! Bill Bullock, a 67-year-old former fruit juice factory worker from Leyton, East London, squeezed home fourth with 14.040 kg also from Reed Pool – a catch made up of five carp, the best scaling a superb 6.300 kg, three bream, one crucian carp and a gudgeon. Bill caught most of his fish high in the water with sweetcorn on a size 14 hook. A member of E17 Angling, Bill hadn’t fished the venue for 10 years. He said: “I didn’t catch anything for the first hour and only had one fish in the last hour. I also lost a couple of really big carp at the net.” Bill has a good record in the event finishing fourth and ninth in previous years. 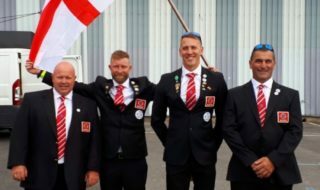 Now Bill is hoping to move into the medals for the first time when the 2004 Veterans’ National is fished on the Grand Union Canal at Milton Keynes – a venue he knows well! In fifth place with 12.100 kg was Tom Morris, a 68-year-old former lecturer from Bolsover, Derbys, who landed 12 carp up to 2 kg, including five in the first hour, from Reed Pool. Unfortunately, Tom then endured a fishless two hours before catching solidly again towards the end. Tom, one of the few anglers to fish the feeder, used sweetcorn on a size 16 hook with soaked pellets in the feeder. He said: “I lost a carp that weighed nearly 7 kg but I had a good day and to finish fifth in a National is a great result for me.” Sixth place went to Dave Elliott, from Cheshunt, Herts, with 11.800 kg from Moat Pool. 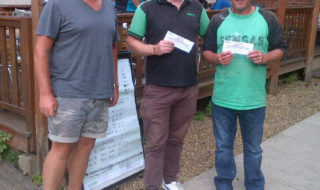 EMBASSY VETERANS’ NATIONAL ANGLING CHAMPIONSHIP (Hallcroft Fisheries, East Retford, Notts) 1. Gordon Hartwell (South Normanton, Derbys) 25.920 kg; 2. Maurice Thacker (Branston, near Lincoln) 14.720 kg; 3. Peter Child (York) 14.280 kg; 4. Bill Bullock (Leyton, East London) 14.040 kg; 5. Tom Morris (Bolsover, Derbys) 12.100 kg; 6. Dave Elliott (Cheshunt, Herts) 11.800 kg.